Nancy Eckels demonstrated acrylic painting and techniques at the August Santa Clarita Artists’ Association meeting. 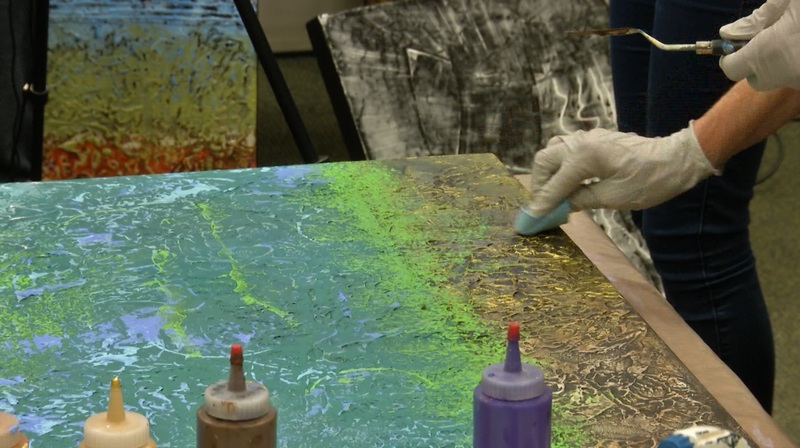 Eckels expressed that she experiments with color, texture, and composition to create her acrylic paintings. At the meeting, she also began a painting and demonstrated parts of her process to attendees. To see more of Eckels’ work, visit www.NancyEckels.com. To learn about SCAA, visit www.SantaClaritaArtists.org.